I tried this green tomato chutney / raw tomato chutney ( Thakkali Kai chutney in Tamil, Pachi tomato pachadi in Telugu) from Swasthi’s recipes. It is of Andhra style pachadi recipe. The list of ingredients used in this chutney recipe was interesting and new to me. Its taste was also different but it was good with idli, dosa. I have tried it twice using raw green colored tomato and raw red tomato. Both were equally good. 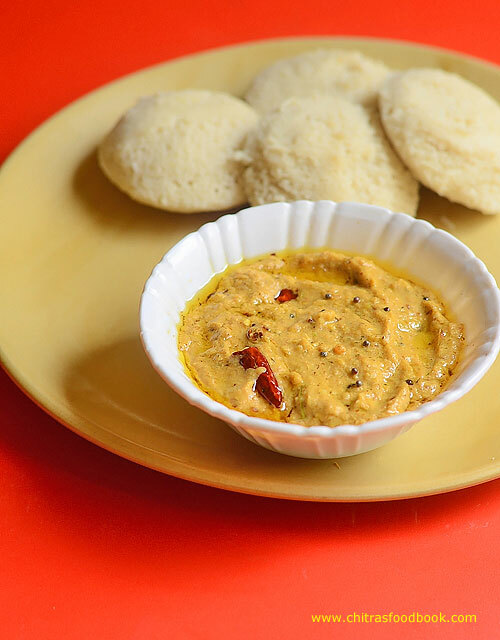 Friends, do try this raw tomato chutney / thakkali kai chutney for idli,dosa. You will love it for sure. 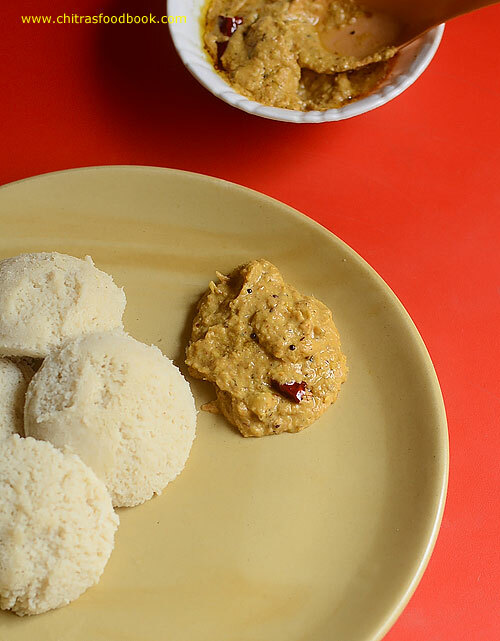 I served this chutney with Kuthiravali idli / Barnyard millet idli. Ok, Lets see how to make green tomato chutney with step by step pictures. Check out my green tomato sambar for idli. Wash and chop green tomato into pieces. Heat oil in a kadai and roast the sesame seeds, chilli, garlic. Add tomato, tamarind and saute till pulpy. Let it cool down. Grind to smooth paste. Temper the ingredients and add to chutney. Wash and chop green tomato into small pieces. Heat oil in a kadai. Roast sesame seeds. Then add green chilli, garlic cloves. Saute for a minute. Then add tomato, tamarind and salt. Saute till tomato becomes mushy. Switch off the flame and let it cool down. Grind to smooth paste adding required water. Heat oil in a kadai and temper mustard seeds, urad dal, red chilli, curry leaves. Add to chutney. Adjust the number of green chillies as per the taste. Chutney tastes tangy when you reduce the number of chillies. 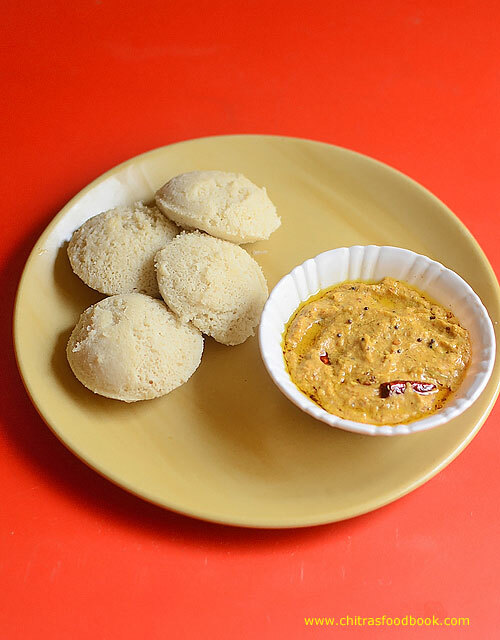 Try this yummy raw tomato chutney for idli, dosa and enjoy !